Well look at that, we have a new PBA conference again! From the San Miguel Beermen celebrating their fourth straight Philippine Cup championship just a few weeks ago, we suddenly find ourselves preparing for an all new conference already. That’s the beauty with the PBA: it’s quick, and if you’re not careful, you might miss out. The quick turn-around also means there are more hot takes for fans to dole out. Some truthful, while some are bordering on ridiculous. The takes found in the middle of those two extremes are normally the most fun ones to talk about. It sounds crazy at first, but when you think about the take carefully, it’s something that could realistically happen. It’s a fun exercise, one that requires creativity and a penchant for arguing. But this prediction isn’t centered around their struggles. It’s centered around the flashes of dominance they’ve shown, especially during the last Philippine Cup. 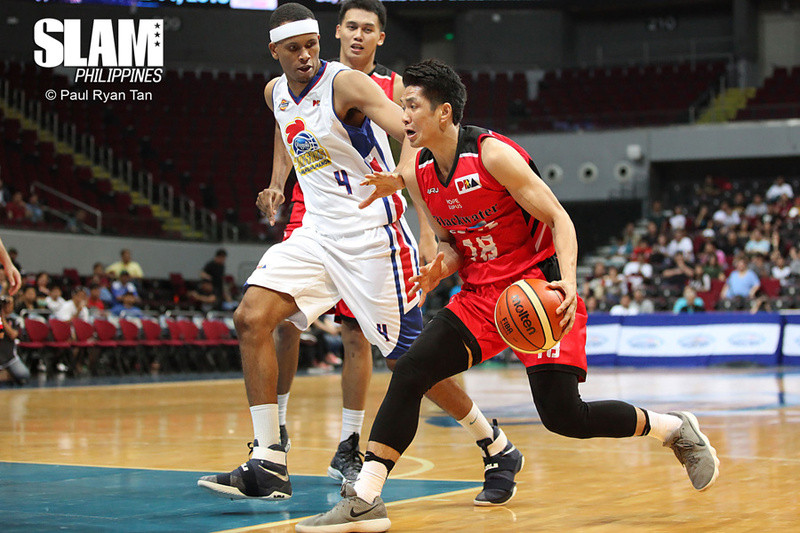 They were the only team in the league to beat both the San Miguel Beermen and the Barangay Ginebra San Miguel last conference, beating both teams by double digits. These weren’t luck wins either. Rather, it’s a testament to the potential of the team centered around Poy Erram, Mac Belo and Allein Maliksi. They won’t finish with a high seed. They’ll probably be somewhere around the 5-7 range because of a couple of freak losses like what they had versus Columbian. But it’s clear Blackwater loves to play the big teams. That’s why come playoff time, don’t be surprised if they upset a big time team and lock up a spot in the semifinals. This is another prediction that doesn’t look too good early on, with Globalport losing their first game of the season against the TNT Katropa. But some factors to consider: Stanley Pringle, the best player of Globalport, struggled to establish himself throughout the game. At the same time, TNT was uncharacteristically hot, hitting 15 of their 30 three-pointers throughout the game. It was quite the display of offensive firepower from the KaTropa. TNT’s sheer firepower from outside won them their game versus Globalport, but it’s unlikely they get to consistently put up that much points from rainbow country for the rest of the season. At the same time, the performance of the big men of TNT wasn’t all that great. Jeremy Tyler put up just — for the standards of an import at least — 14 points and 12 rebounds, while Troy Rosario struggled by scoring only 3/11 from the field while committing four turnovers. 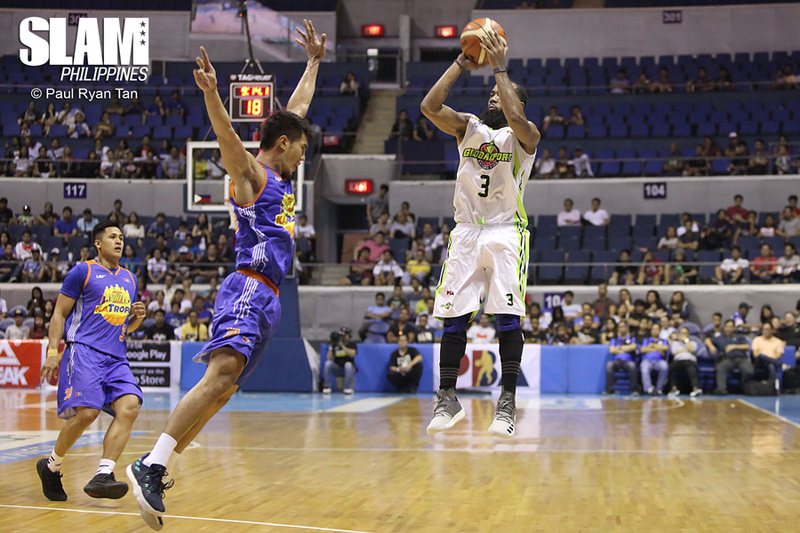 Globalport, on the other hand, showcased flashes of stable play they can carry on to their next games. Sean Anthony will unlikely replicate his 34-12-5 outing again, but his energy all over the floor is something he can bring on a nightly basis. Malcolm White, wasn’t that bad for someone who was clearly still trying to get used to the physicality of the league, finishing with 27-12 line. Mo Tautuaa was solid, while even Nico Elorde showed up in their first Commissioner’s Cup game. At the end of the day, stable big man play is what matters in the Commissioner’s Cup. Guards will have their big time moments here and then, but if you don’t have bigs who can’t match what other teams are putting up, then you’re in some trouble. TNT will contend no matter where they’re placed, that’s what adding a talent like Terrence Romeo brings to you. But Globalport, have the makings of a team that will play some steady basketball all throughout. Even with a struggling Pringle, they can still churn out wins, thanks to their revitalized front court. Columbian FREAKING Dyip — What a beautiful team name — beat a quality team in Blackwater, and convincingly at that. 28 points. 28 POINTS. Absolutely ridiculous. But the win wasn’t mere chamba. Columbian’s style of play that’s as unconventional as Shaquille O’Neal and Jesus Christ on the design of your favorite jeepney across the street is one that’s built to take down teams not ready for what they provide to the table. Gulpi de gulat. That’s the best way to describle how the Dyips play. 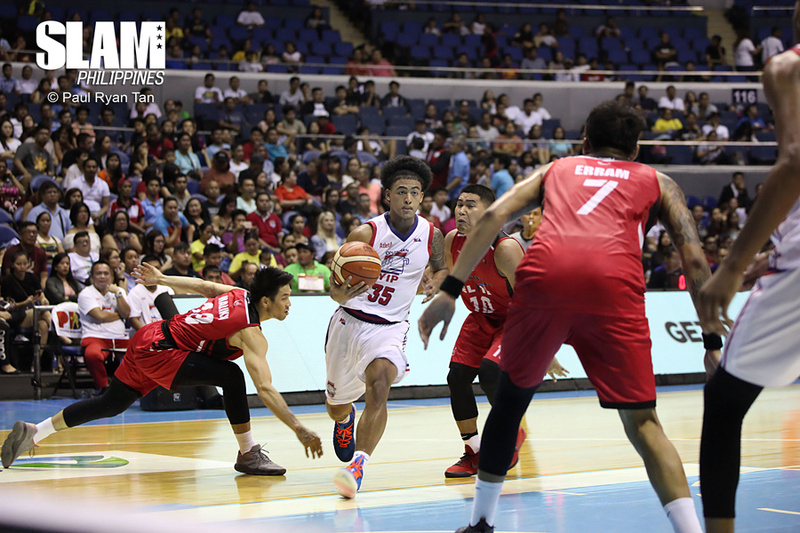 They forced the Elite to commit 33 whopping turnovers, scoring 44 points off those miscues by Blackwater. Columbian is the kind of group that has a rag-tag group of players that can suddenly blow up with a good game. They’re a team filled with unheralded players, but if you aren’t careful, they can take a win away from you. Columbian Dyip is out here ready to prove they’re more than just a name in the Weird 16 Bracket (who probably should have won also, sorry Toby and Ceej). They’re unconventional, whether you like it or not. Give us Columbia Dyip upsetting the Christian Standhardinger-led San Miguel Beermen. We want Philippine Basketball Twitter to melt. Sorry Junemar, your first Commissioner’s Cup BPC won’t come now. It’s Stanley Pringle’s time to shine, so I’m pinning one half of Globalport’s Beard Bros to come out with the individual award come the end of the conference. This isn’t to say Fajardo will get blown out of the water in the race, he’ll put up a tough fight. But in terms of the situations of the two players as individuals, Pringle is in an environment where he will be expected to thrive, missed shots and all. Pringle is Globalport’s ride or die, literally. He’ll carry most of the load for the team, while controlling the offense. Pringle will likely average somewhere around 19-6-7, while Fajardo will put up a steady 18-10. It’s close, but Pringle will have the edge thanks to the assists he dishes out. In terms of narrative, the stage is also set for Pringle to capture the hearts of the different stakeholders of the league. Trading away Romeo out of Globalport meant Pringle was set to be THE guy for Globalport. It’s the opposite for Fajardo, as the Beermen is set to add Christian Standhardinger, someone who will take away touches and minutes from The Kraken. Narrative matters, and Pringle has the opportunity to sway voters, while the added talent around Fajardo will deter his BPC bid. It will be a close race, because of the simple fact that no matter what the situation may be, Junemar is going to put up monstrous stats especially when you consider how he’s starting to realize his full potential. Averages of 18 points and 10 rebounds are nothing to scoff at, and you pair that with wins? You have your self a BPC contender. But it will boil down to media, player and the PBA vote for this race. 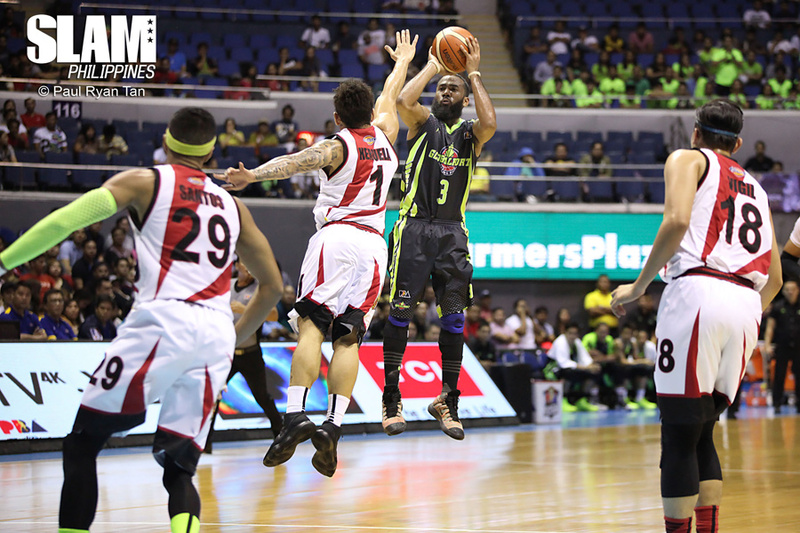 If Pringle leads Globalport to a deep playoff run while putting up monster stats, the award is his for the taking. They can get upset by Columbian Dyip. They may also not have any of their players win any individual awards this conference. At the end of it all, the San Miguel Beermen will roll to their second straight Commissioner’s Cup championship, although with some kinks here and there. San Miguel won’t look like the death machine we’ve grown accustomed to for the past few conferences. For the longest time, they’ve learned to play their system around Fajardo, but that has to change now. With Standhardinger, another franchise changing center in the league now in the mix. The way the system is run has to change. Coach Leo Austria knows this, and even showed flashes of a new system being implemented during the Philippine Cup. It won’t be an easy transition. Old habits die hard, after all. There could be times, San Miguel will mistakenly dump the ball to Fajardo and expect four-out action even though Standhardinger is down low as well. Maybe there will be instances where San Miguel isn’t able to read the mismatch and they forget to dump the ball to Fajardo even though the opportunity is there. It won’t be easy, it may even be messy at the start. Some Beermen fans may even get flashes of the Petronovela days where the entire Blaze Boosters team seemingly forgot they had a Kraken down low they could dump the ball too. The only difference is, the overall culture around the team is far from what those old Petron Blaze Boosters teams had. Coach Leo Austria has done a splendid job of keeping the heads of his players right on track, with the current game on their mind rather than the championship immediately. It’s a step by step process that this team will have to go through in order for them to reach greatness. They may not finish at the top of the standings after the elimination round. They may have some trouble in the Playoffs. 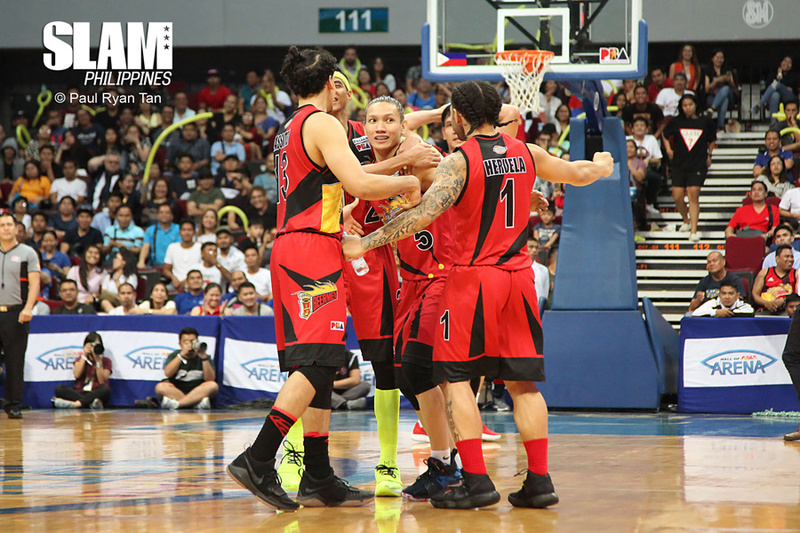 But this Beermen team has a unique blend of talent, depth, and team culture that makes them such a once in a generation force. They’re going to come out with the Commissioner’s Cup title by the end of it all. This championship will be the start of a new era of their dynasty that has two of the best big men in the league combining their forces for something legendary.